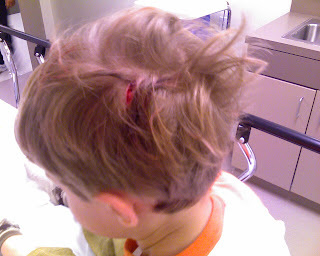 I had a gash like that twice. Once from my brother who likes to throw rocks and I was in the way (he was 2!) and another when I walked in front of some kid throwing big building blocks. And I didn't get to ride with paramedics! 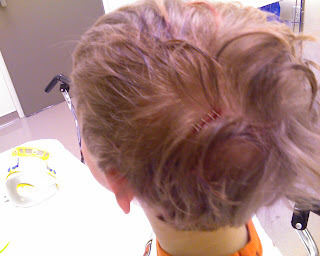 Needless to say head wounds bleed a ton. And I so wish you luck with the boys. 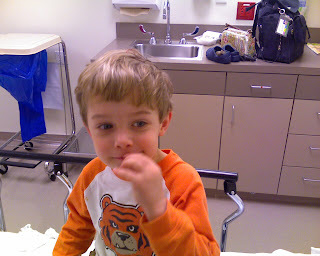 I'm afraid this won't be the last emergency room visit for either of the boys.